Interstate shipping can quickly become a complicated process. Government regulations create paperwork, hassles, and headaches. But with TSI, our shipping specialists will make shipping simple. From packing to delivery and set up – TSI will handle it all. 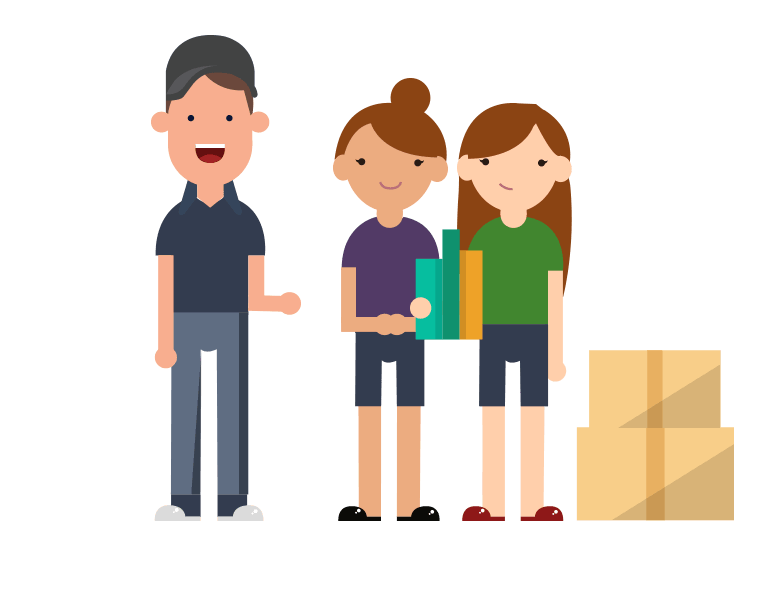 Whether you need a stack of boxes or an entire home shipped, TSI can help. We ship almost everything. And we’ll handle the paperwork to make sure your items are ready to ship. Our shipping experts create customized solutions to fit your timeframe and budget. We give you low rates and all the information you need to make sure there are no surprise fees. High-Value Items. Lighting. Grandfather Clocks. Grand Pianos. We treat all of your items with care. Let us know if you need help packing or if you are interested in extra insurance. The shipping industry has a complicated set of rules, policies, and procedures for shipping state-to-state and to or from Canada. Classification and labeling policies are just a few of the challenges you can run into. TSI brings over 30 years of experience to the table. Our interstate shipping specialists know all the rules and regulations. They’ll make sure your shipment follows proper protocol, meaning everything runs smoothly. We make cross country shipping stress-free. Make the most of your time. With our White Glove service, you can relax while professional movers prepare your goods for you. And when your items arrive at their destination, our team will jump out and provide in-home delivery. You simply tell them where you want your items. Or with our Economy option, pack your items yourself and save money. You help our driver load your shipment-ready items on the truck and we'll get them on their way. 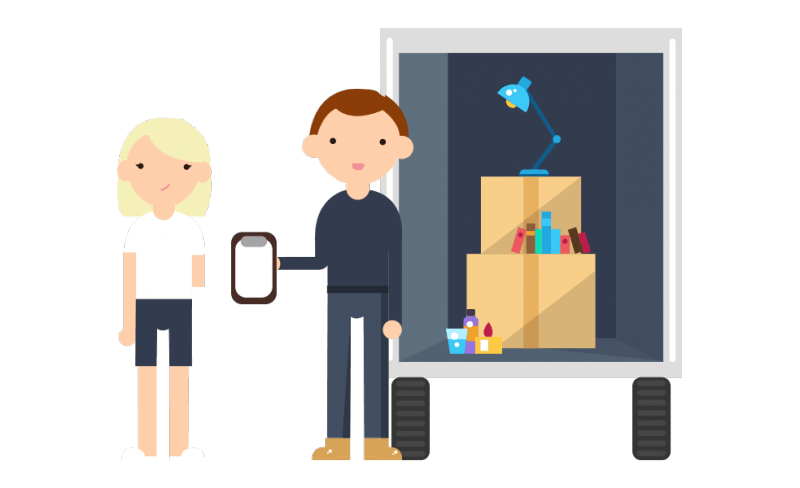 When your items arrive, we’ll unload them at the curb so you can quickly set up. Ask about our Economy Plus and Economy Select packages if you're on a tight schedule. Our freight shipping professionals will make sure everything is properly classified and documented, ensuring your goods a safe trip down the interstate. Such a complex shipping system makes it easy for fly-by-night companies to lure customers in with low teaser rates. Only after you read the contract will you find it’s full of hidden charges, like mileage and loading fees. Those fees quickly add up and can end up costing you a fortune. TSI has both the experience and freight network to offer you volume discounts. Our average customer sees more significant savings with us than if they choose to go directly to interstate shipping companies. And since the price you pay is based on weight and distance, there should be no unexpected charges. No upcharges. No mileage or loading fees. As long as your weight estimates are accurate, you pay the quote we give you. 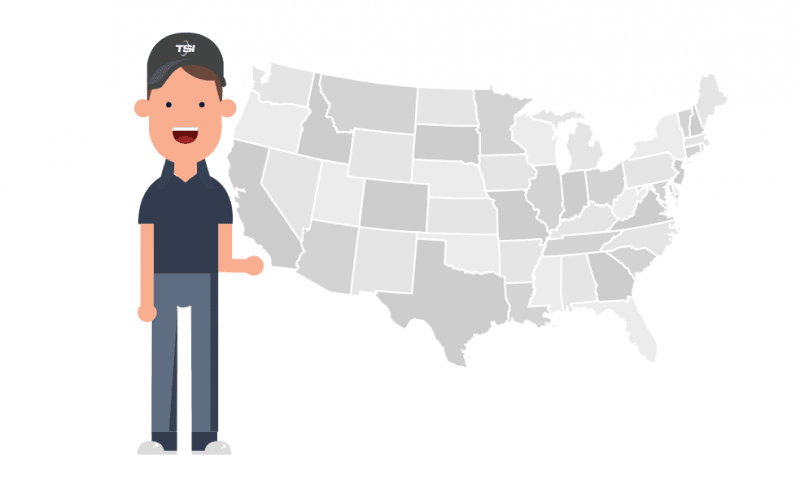 Here are some helpful links to our interstate shipping services for our most popular states. Request a quote below or give one of our shipping experts a call at 1-800-626-1257.